Customer satisfaction is our highest priority. 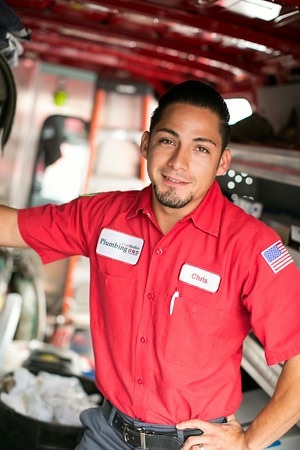 Since 1969, Tom Moffett has provided Orange County residents with the highest quality plumbing service available. Backed by our 100% Satisfaction Guarantee, we provide home owners with cost effective plumbing and drain services. When you call Tom Moffett Plumbing, Inc. we’ll schedule a precise appointment window, send a clean, professional technician to your home that will diagnose your situation, explain your options and give you the cost before we begin our work. And did we mention that our highly skilled technicians are periodically drug-tested and have passed a thorough background check? They will arrive at your home on time with a fully stocked “Warehouse On Wheels.” They can solve most plumbing issues on the spot. Very pleasant doing business with this company! The technician who did the work (replacing my kitchen faucet) was very pleasant as well as knowledgeable, thorough, and professional. I initially had "sticker shock" when presented with the price, but after seeing the quality of the fixture and the time spent analyzing the problem, followed the next day by expert and timely installation work (taking a total of several hours) and the amenities provided to the worker by the company to complete the work in a professional manner, I would not hesitate to call them again for any plumbing needs. More companies should pay attention the this type of quality and customer service.